Safari, the iPhone's built-in web browser app, uses a pretty familiar bookmarking system for saving the addresses of websites you visit regularly. If you've used bookmarks in almost any other web browser on a desktop or laptop, you're familiar with the basic concepts. The iPhone adds some useful tweaks, though, like syncing your bookmarks across devices. Go to the web page you want to bookmark. Tap the action box (the icon that looks like a box with an arrow coming out of it). Edit details about the bookmark. On the first row, edit the name you want to appear in your list of bookmarks, or use the default. You also can choose what folder to store it in using the Location row. 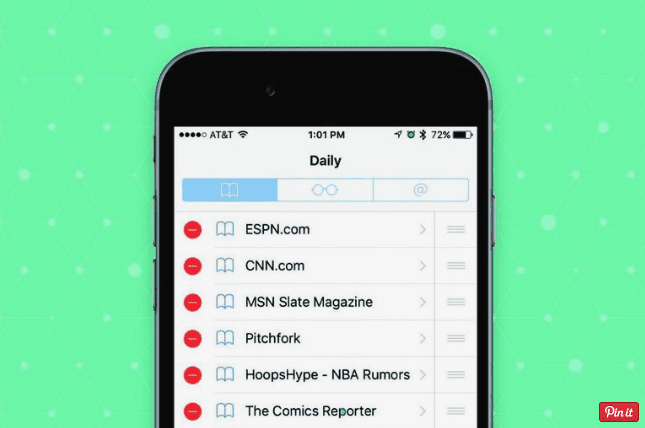 Tap that, and then tap on the folder you want to store the bookmark in. When you're done, tap Save. The bookmark is saved. Move the Safari slider to on (green). This syncs all of your iPhone bookmarks to iCloud and to your other compatible devices that have the same setting enabled. Repeat these steps on your iPad and Mac (and PC, if you're running the iCloud Control Panel) to keep everything in sync. Move the iCloud Keychain slider to on (green). Now, if Safari asks whether you want to save a password when you log into a website and you say "yes," that information will be added to your iCloud Keychain. Enable this setting on all devices you want to share the same iCloud Keychain data, and you won't have to enter these usernames and passwords again. To use your bookmarks, tap the icon at the bottom of the Safari screen; it looks a bit like an open book. This reveals your bookmarks. Navigate through any bookmark folders you have to find the site you want to visit. Just tap the bookmark to go to that site. Open the bookmarks menu by tapping the book icon. Delete bookmarks—To delete a bookmark, tap the red circle to the left of the bookmark. When the Delete button appears at the far right, tap that to delete it. Edit bookmarks—To edit the name, website address, or folder that a bookmark is stored in, tap the bookmark itself. This takes you to the same screen as when you added the bookmark. Re-order bookmarks—To change the order of your bookmarks, tap and hold the icon that looks like three horizontal lines to the right of the bookmark. When you do this, it lifts up a bit. Drag the bookmark to a new location. Create a new folder—To create a new folder in which you can store bookmarks, tap New Folder, give it a name, and choose a location for that folder to live. Tap the Done key on the keyboard to save your new folder. When you've completed whatever changes you want to make, tap the Done button. Is there a website that you visit many times a day? You can get to it even faster than with a bookmark if you use a webclip. Webclips are shortcuts that are stored on your home screen, look like apps, and take you to your favorite website with just one tap. Tap the box-and-arrow icon used to create bookmarks. In the pop-up menu, tap Add to Home Screen. Edit the name of the webclip, if you want. You'll then be taken to your home screen and shown the webclip. Tap it to go to that site. You can arrange and delete webclips in the same way that you'd delete an app.